Agricultural production is affecting the climate and environment. Thirty-nine per cent of all greenhouse gas emissions in Vietnam are caused by agriculture. 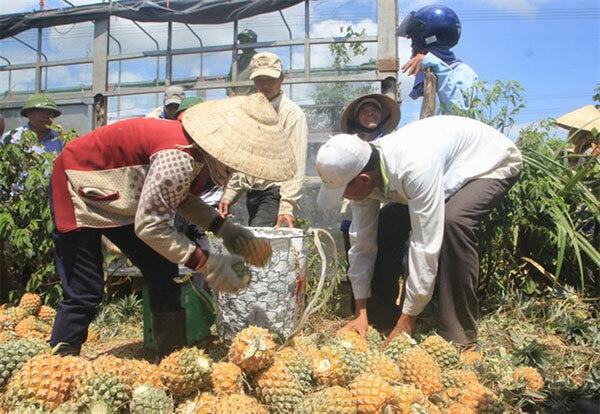 Ha Sy Dong, vice chairman of Quang Tri Province People’s Committee, told Việt Nam News that the adoption of CSA has proven effective for farmers as it helped increase productivity by 1.2-1.5 times compared with traditional methods. Results from the summer-autumn crop of 2018 showed that advanced technology application combining proper use of fertilisers could yield higher productivity, reduce the need for pesticides and improve farmer households’ income 30 per cent compared to normal cultivation, he said.